The realisation that your hair is retreating from battle can be a difficult thing to come to terms with. Not only are your looks changing beyond your control, it’s also one of the first real reminders that we aren’t immune to the passing of time. It’s easy to feel invincible in our younger years; to feel as though we’ll have youth on our side forever. 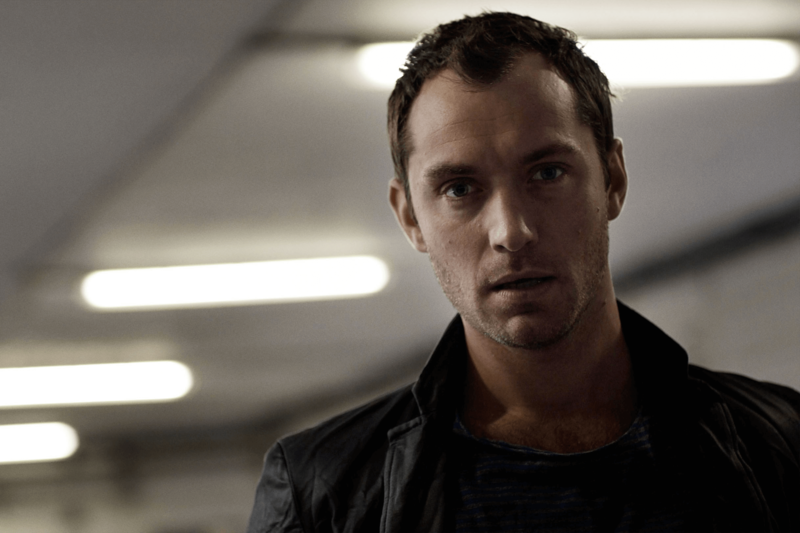 However, a receding hairline is a not-so-gentle wake-up call alerting us to the fact that the clock really is ticking. Nobody is going to tell you it’s a pleasant experience to watch yourself ageing in real time. But contrary to popular belief, losing your hair is not to be all and end all. As technology and medicine continue to advance, male pattern baldness is fast becoming a thing of the past. Still, aside from acceptance, there’s no miracle cure just yet. But there are things you can do and steps that can be taken to either prevent, correct or simply come to terms with your hair loss. Here, Ape explores the ins and outs of receding hairlines – and how to deal with them. First things first – what exactly do we mean when we say ‘receding hairline’? Male pattern baldness is a natural part of the ageing process – by the age of 50, it affects more than half of all men. It causes hair loss in a number of different patterns, but one of the most common ways it begins is with the hairline creeping back either side, exposing more of the scalp/forehead. This is known as a receding hairline. It’s often accompanied by a bald spot on the crown of the head and, later, thinning on top. The hair can either keep receding until the bald spot and hairline meet, leaving no hair on top of the head. Or it can leave an ‘island’ of hair above the forehead. Hair loss in any form can seem very unfair when it begins happening to you, but you aren’t being singled out. Male pattern baldness is still not fully understood. What we do know, however, is that it stems from a combination of genetics and an imbalance of a hormone called dihydrotestosterone, or DHT for short. DHT causes hairs on the scalp to be gradually replaced by shorter and thinner hairs until they have disappeared entirely. This tends to happen in a predictable pattern, which is why the condition is referred to as male ‘pattern’ baldness. As alluded to above, genetics can play its part, yet one common misconception is that the gene for male pattern baldness is passed down through the maternal side – but this is not always the case. What Can I Do To Prevent/Treat It? If there was a miracle, fix-all cure for receding hairlines then chances are nobody would have them. It’s true there is no magic pill you can take that will cause your lost hair to grow back. But there are a few things that come close. While there may not be a magic pill that makes your hair grow back, there are a couple of scientifically-proven medications that can help prevent any more from falling out. The two main drugs used to prevent further hair loss are minoxidil and finasteride. Both were actually developed with other applications in mind but began being used to treat hair loss when researchers noticed they could, in some cases, cause hair to grow. 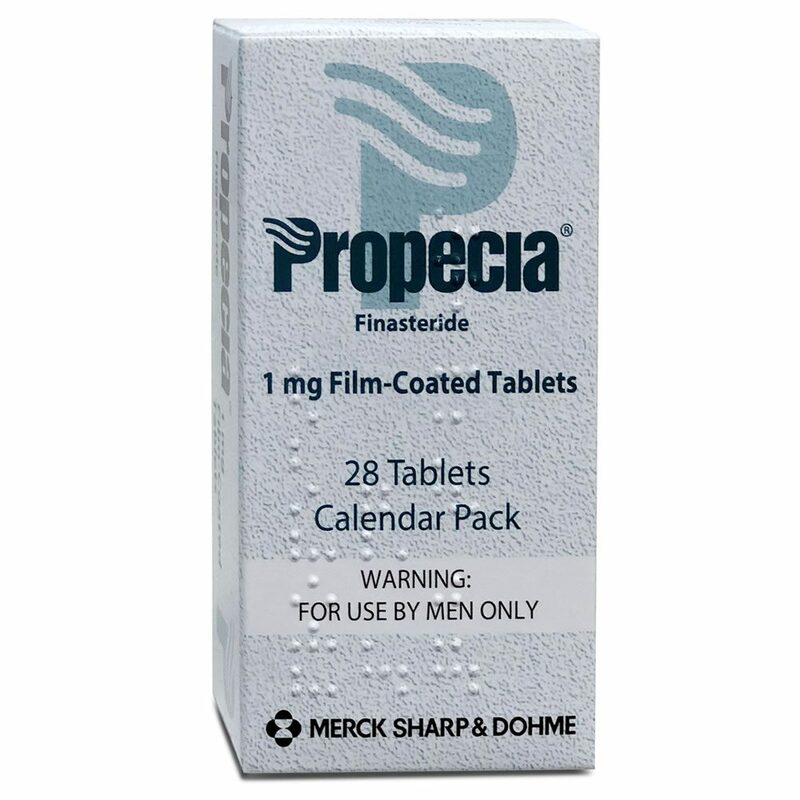 Finasteride is traditionally available in oral pill form and marketed as ‘Propecia’. 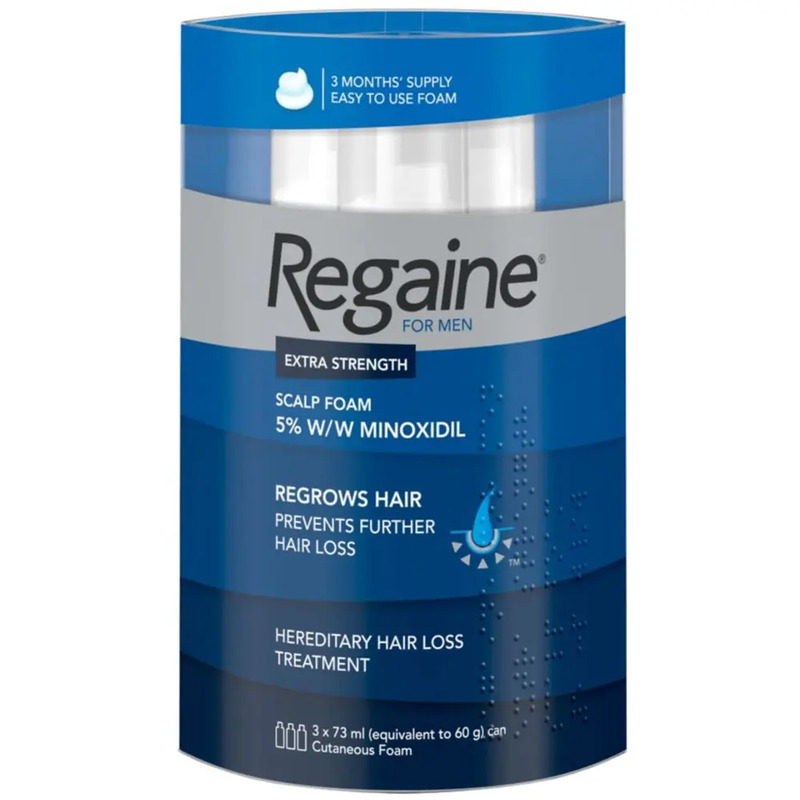 Minoxidil, on the other hand, is usually sold as a topical ointment, branded Rogaine in the US and Regaine here in the UK. Users will typically experience differing degrees of success. Some will experience nothing more than decreased hair loss, while others will report old hair growing back. These medications also play a key role in the hair transplant process. Which brings us to our next point. 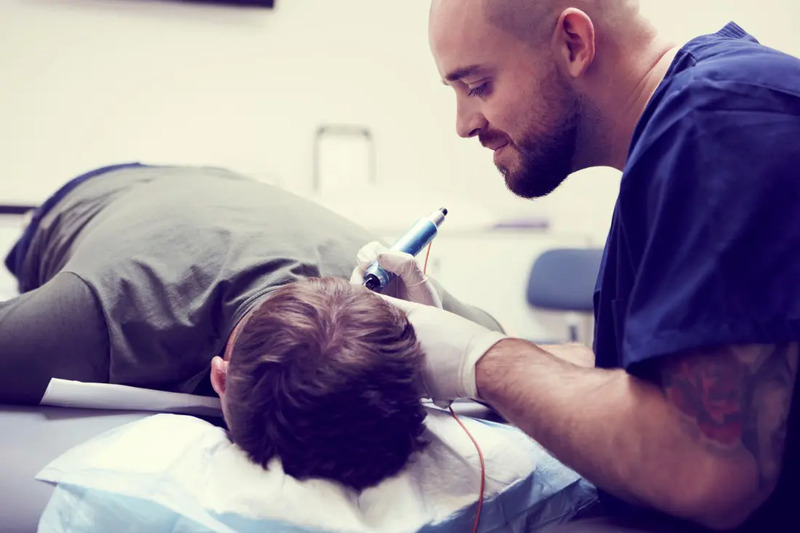 Put simply, the procedure involves extracting hair follicles – either individually or in strips – from an area of the scalp where hair still grows (usually the back and sides). Then it’s a case of rehoming them in places affected by hair loss. The finished results can be very impressive, with many men enjoying full heads of hair again within a year. 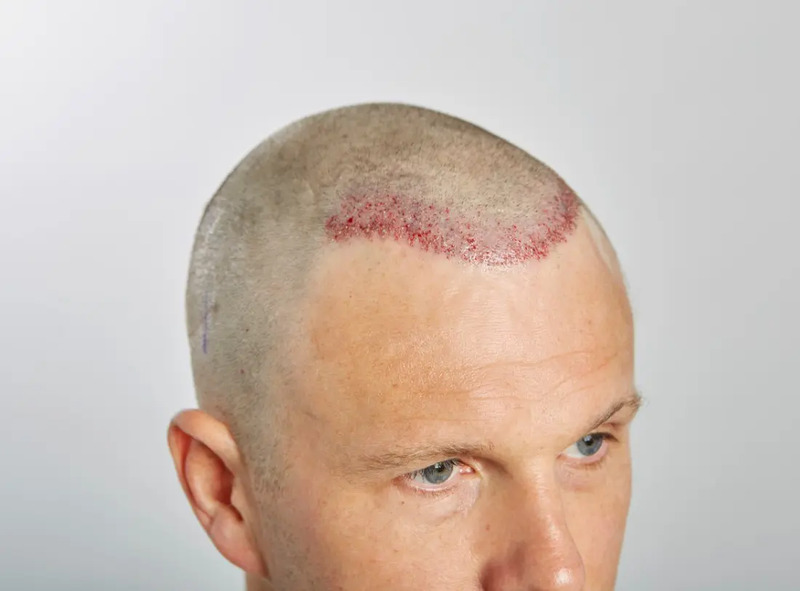 One unconventional option that is gaining traction in the world of hair loss treatment is a process known as micropigmentation. This involves tattooing a hairline back in to give the illusion of hair. 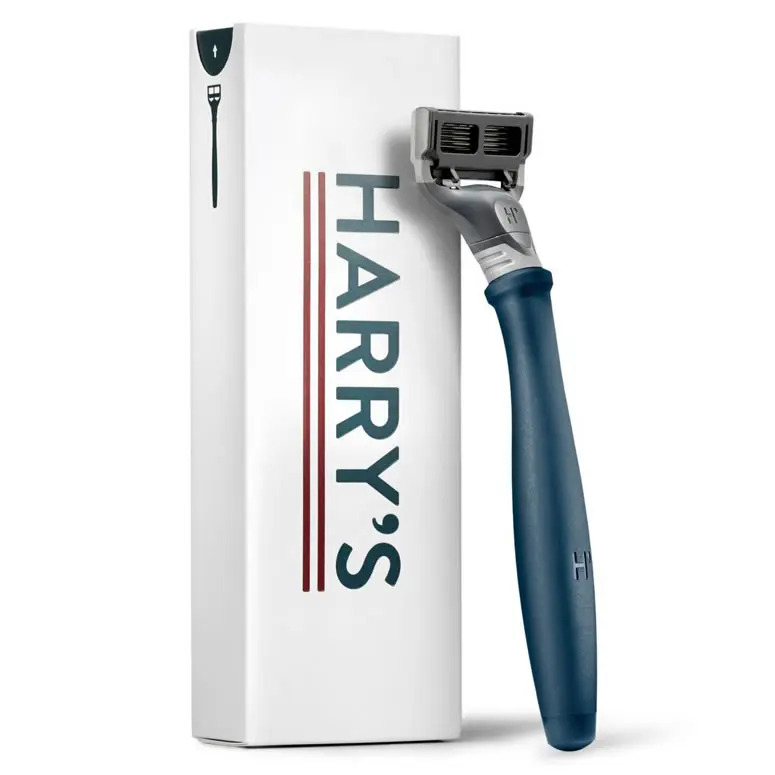 It can look very effective when combined with a shaved head and can even help to reduce the appearance of thinning when worn with the hair slightly longer. The treatment is typically carried out in three to four sessions with immediately visible results. If you wear your head shaved but are conscious of your receding hairline, this could be the ideal solution for you. Last but not least, one option that is a lot cheaper and painless than any of the above is to simply accept your receding hairline and wear it with pride. If you’re going quite noticeably bald the first step is to shave your head using either clippers and a grade, or simply a wet razor. You may find your new look difficult to get used to at first. But once you discover it means you get a lie in every morning and don’t have to fork out for regular trips to the barber, you may start to find you quite like it. If treatment doesn’t sound like the right path for you then perhaps your local barber holds the solution. There are a number of hairstyles that can work wonders for a receding hairline – these are a few of the best. There’s no denying it’s the nuclear option, but shaving your head down to the bone can be a liberating experience. Going for a full chrome dome can restore some of the confidence that your receding hairline deprived you of. Plus, it can even make you look more masculine and dominant. A good tip is to ask your barber to take the hair down with clippers to a buzzed length first. This way you can get a better idea of whether the look is going to be right for you before you fully commit. One step up from its clean-shaven cousin, the buzz cut is a military favourite, sitting somewhere between a short haircut and a shaved head. Your barber will take the hair down with a grade one or above on the clippers until it is the same length all over. This type of cut can reduce the appearance of your receding hairline significantly and has the added benefit of being extremely low maintenance. If you want to save some money, you could even do it yourself at home with a little practise. Repopularised by hit TV period drama Peaky Blinders, the textured crop has become one of the most popular trims of the last five years. 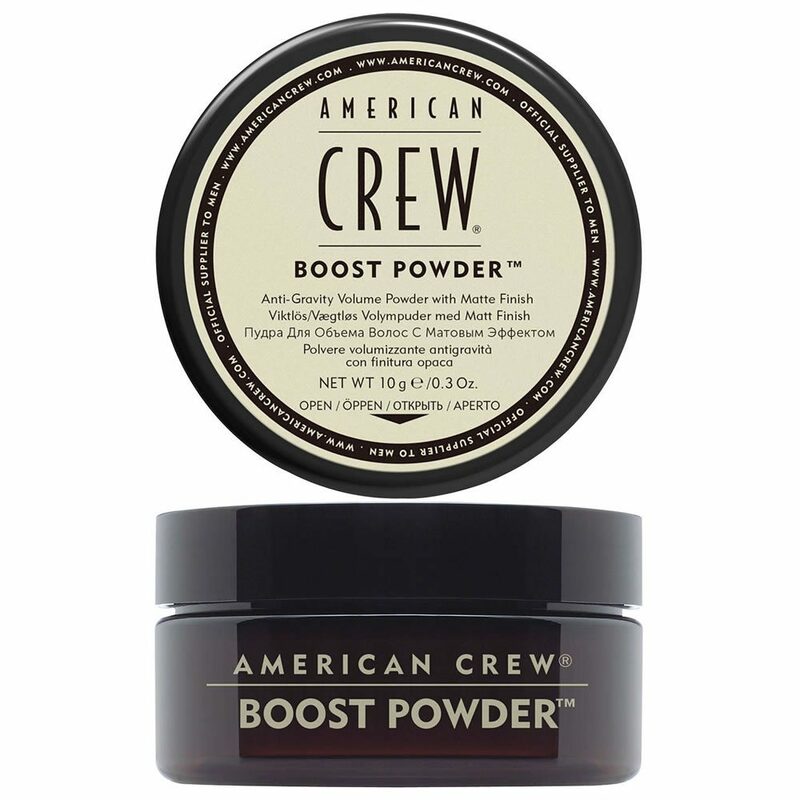 The good news is, the fact it’s styled forwards makes it an ideal choice for men with receding hairlines. The tousled look can also help to mask thinning on top of the head and when taken short on the sides it can give the illusion of hair on top of the head being fuller and thicker. However, choosing the right hair styling products for thinning hair is just as important. Swerve anything too heavy or water-based (gels, clays, creams, pomades and the like), which will weigh your hair down, making it look even more sparse than it is. 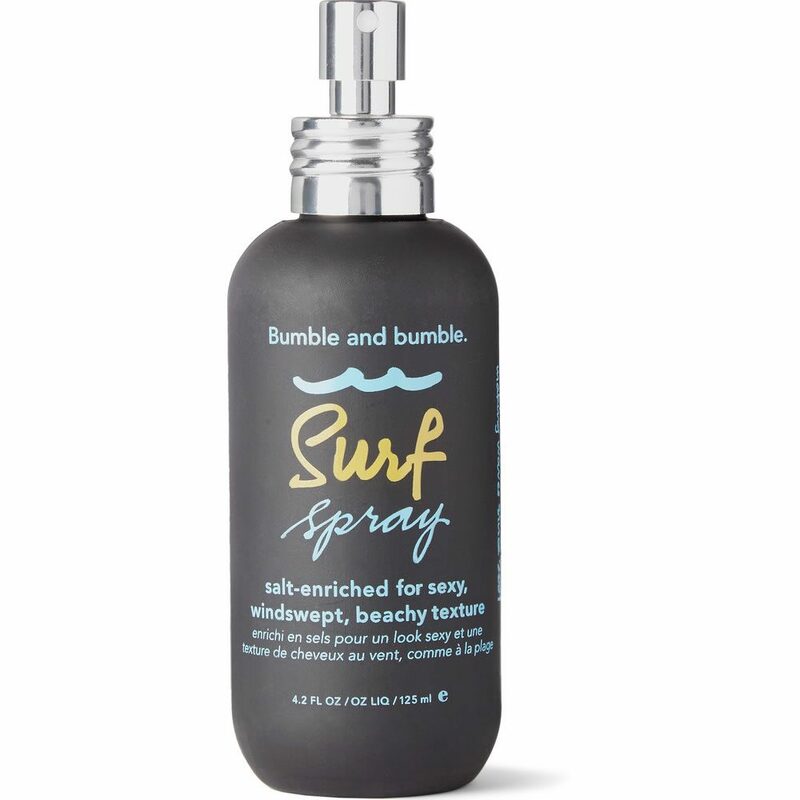 Instead, try ‘dry’ products that boost volume such as texture powders/root boosters and salt sprays. The classic crew cut is a military favourite due to it being one of the most timeless cuts around. Here, the back and sides are kept close and cropped with hair left only a little longer on top. This short length works well in making the hair appear thicker and the front can be styled to mask the offending areas around the hairline.